Kandylis was studying physics at the University of Athens, while working for some of the best restaurants in Greece, when the wine bug bit. “My inspiration was my cousin, who influenced my first steps and opened the gates for me to discover what is hidden in the wonderful world of wine,” he says. After completing the first three levels of his WSET qualifications in Greece, he moved to the UK, where he landed a position at Heston Blumenthal’s revered gastro-molecular pub The Fat Duck in Bray. 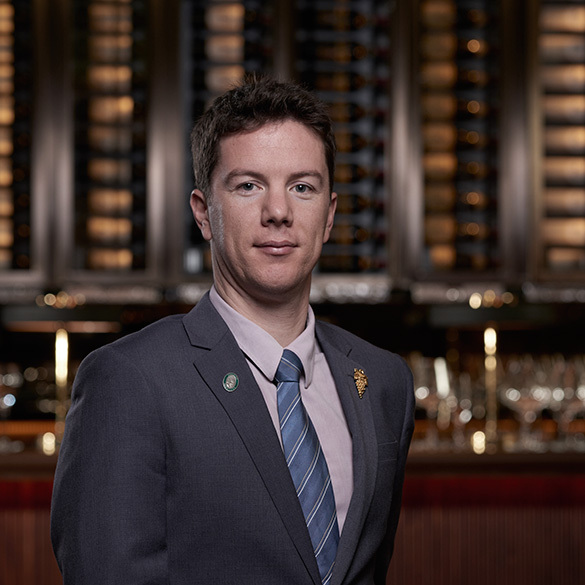 Upon completing his WSET Diploma, he went on to become assistant head sommelier at The Ledbury, before joining private members’ club 67 Pall Mall, where he is today head sommelier, working under the leadership of Ronan Sayburn MS.